Description: From his boyhood Oscar Wilde was haunted by the literature and culture of ancient Greece, but until now no full-length study has considered in detail the texts, institutions and landscapes through which he imagined Greece. 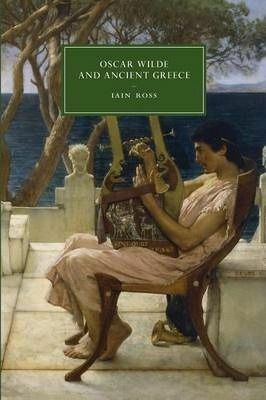 The archaeology of Celtic Ireland, explored by the young Wilde on excavations with his father, informed both his encounter with the archaeology of Greece and his conviction that Celt and Greek shared a hereditary aesthetic sensibility, while major works such as The Picture of Dorian Gray and The Importance of Being Earnest maintain a dynamic, creative relationship with originary texts such as Aristotle's Ethics, Plato's dialogues and the then lost comedies of Menander. Drawing on unpublished archival material, Oscar Wilde and Ancient Greece offers a new portrait of a writer whose work embodies both the late-nineteenth-century conflict between literary and material antiquity and his own contradictory impulses towards Hellenist form and the formlessness of desire.